As a confirmed “Never Trumper,” I would be thrilled, if there were no other considerations, to see Donald Trump’s Republican Party get blitzed in these elections and Trump therefore be humiliated. But there are indeed other considerations. This election is not about Trump. 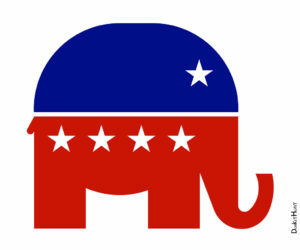 For the best governance of this great land for the next two years, I would vote for a Republican for almost every federal office, anywhere in the country, on this year’s ballot. For Senate races, the choice would be easy. The Senate votes on judicial nominations, and Republicans consistently vote for responsible, constitutionalist judges. Democrats don’t. The Democrats’ judiciary is one in which Little Sisters of the Poor would be forced to stop their ministry to poor people; free speech is not an inherent right but only a privilege to be “ doled out” by the government; government can force people out of their homes for the benefit of big corporations; government can force people to buy health insurance they don’t want; Asian-Americans are treated as second-class citizens; conservative Latinos are barred from office; and the presumption of innocence can be sacrificed for political purposes. Democrats in the Senate also lead their party ever-more leftward, with Sen. Chuck Schumer, D-N.Y., – one of the most extreme liberals in office today – as their leader, and far-left Sens. Cory Booker, D-N.J., and Mazie Hirono, D-Hawaii, as their rising stars. The Senate, though, is almost certainly going to remain in Republican hands. The biggest fight is for control of the House. On a macro level, this is hugely important. First, if Democrats control the House, there is virtually no chance Congress will spend two years wrestling with legislation addressing needs of the public. Instead, the New York Times reports Democrats are planning for political revenge, with a blitzkrieg of “investigations into nearly every corner of the Trump administration.”….